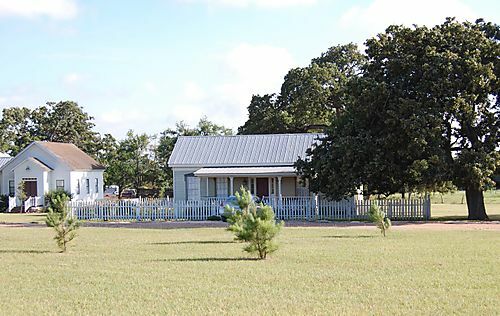 We stayed in a wonderful example of an early Texas ranch house, called the 1869 house. We (two couples) had this beautifully decorated, antique filled two bedroom house to ourselves for the night. There were mud daubed bird nests under the eaves of the deep back porch and the birds awakened us with their flutters and scurries as they went about the task of feeding their babies whose hungry beaks poked frantically above the opening of each nest.